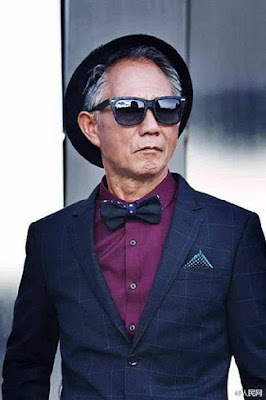 A 71-year-old man has become an internet celebrity after photos of him wearing trendy clothes were posted online. Wang Zhousong, who raises geese in two farms in Luoyang, Central China's Henan province, called the celebrity status "unexpected". After serving in the army for 14 years, Wang retired from the People's Procuratorate of Luoyang in 2007. He then travelled across the big cities in the country, and decided to raise geese four years ago. He said early this month, some young men found him and wanted to take photos of him. 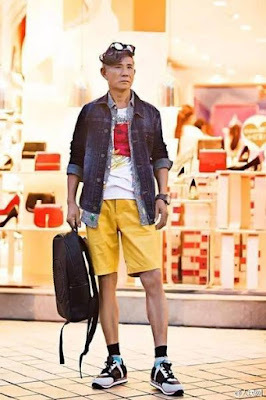 These images were posted online and became popular among internet users who were attracted by his cool expression and attitude. Even the pose and facial expression is on point.